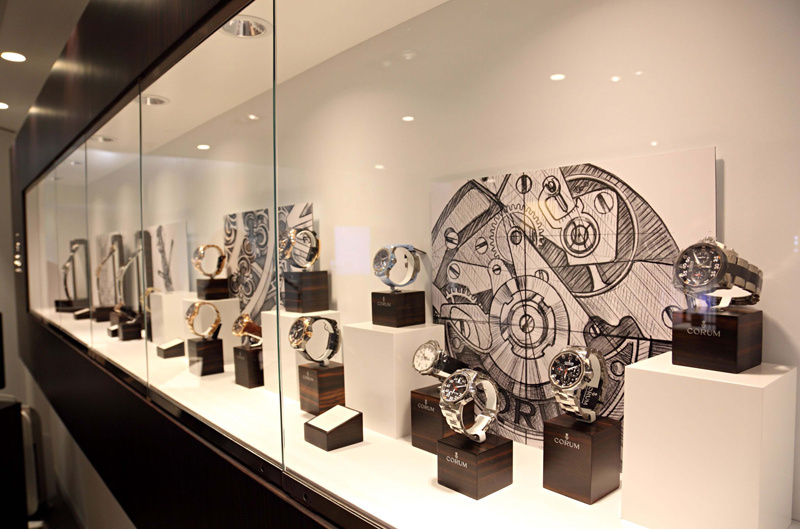 Opened on Christmas day in the Central District, the CORUM boutique is the first flagship store of the brand. Representing 40% of Corum’s turnover, the Far East market has grown quickly by double digit yearly increases since 2007. Hong Kong has thus become the place to be and a key market for the brand. A strategic opening that crowns a strong distribution network of 17 POS in Hong Kong. For several years, CORUM has been a privileged partner of Swiss Prestige, one of the major partners for fine watches in Hong Kong & China. Convinced by the tremendous potential of the Asian market, CORUM has strengthened its retailers’ network in Asia opening 3 new POS in 2009 and plans to open between 5 and 10 new addresses in 2010 in the 4 major areas of Beijing, Shanghai, Guangzhou and Shenzen and in major cities of Harbin, Changchun, Hangzhou, Kunming, Shenyiang. 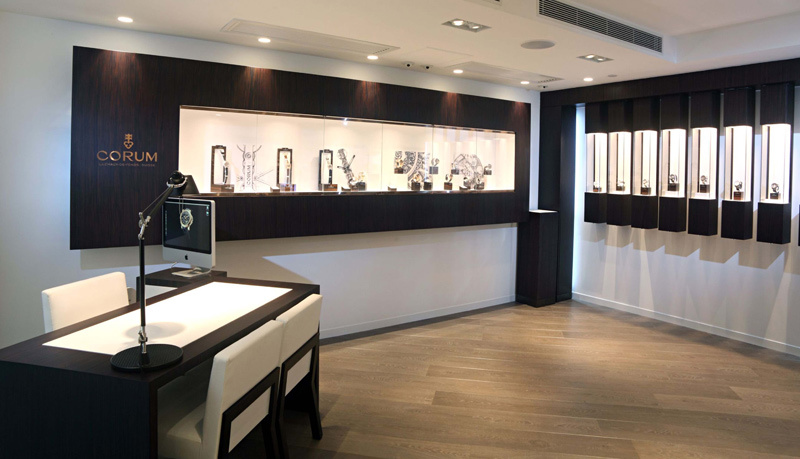 At the end of 2009, the two partners merged their skills and strengths to open the first CORUM boutique in Hong Kong. A very strong message given by the two partners, a snub to the economic downturn, and reflecting the increasing attractiveness of CORUM in the market. Located on one of the finest streets in the world, CORUM has selected the Mecca of Asian prosperity to host its brand showcase. Situated close to the famous area of LankwaiFong, the boutique sits among the most prestigious addresses & prime financial area in Central, which is the heart of the business district. It is also one of the major tourist attraction areas in Hong Kong, where major celebrations are held attracting thousands of local people & travelers alike. 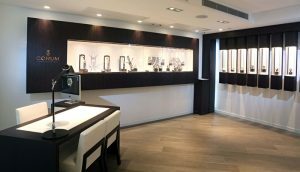 This Haute Horlogerie boutique offers an exclusive CORUM showcase, helping to promote our image, whilst playing an ambassadorial role for CORUM’s points of sale around the world. The brand slogan “UNLOCK & CONQUER” welcomes you to a symbolic representation of our brand. Showcasing eye-catching decor, the Corum boutique invites you into an area of 25 square meters to discover our brand DNA and to experience the Corum philosophy. In Macao, the brand will open its second point of sale at Europe (1 Central Mall). Macao has become the place to be as Chinese visitors have selected it as the preferred location for their shopping activities. 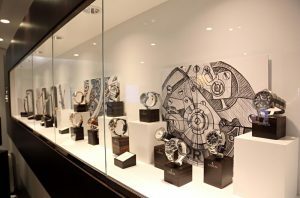 In Hong Kong, Corum will relocate some of its points of sale to enhance its visibility by being showcased in more prominent areas. The brand wants to strengthen its presence as 80% to 90% of the business is generated by Chinese clients. To ensure our brand visibility and to respond to growing market demand, we will reinforce our presence with 5 to 10 new POS in 2010. Corum has gained tremendous visibility in the past few years by benefiting from retailers large corner exhibition areas ranging from 12 to 18 m2.